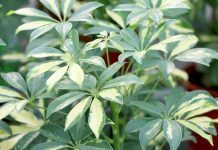 A decorative gush of green-white striped, long and thin leaves pours over the edge of the plant pot, with delicate white blossoms peeking out. 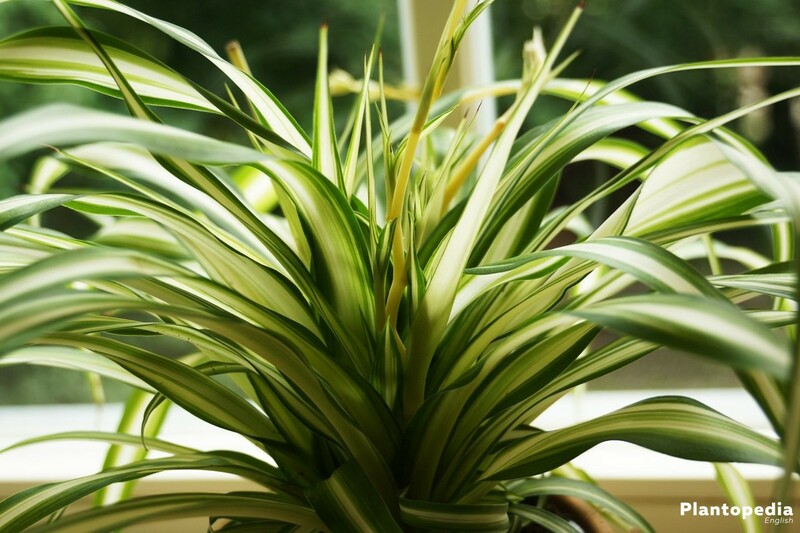 The Chlorophytum comosum is a beautiful indoor plant, which is considered to be easy to maintain and fast-growing. 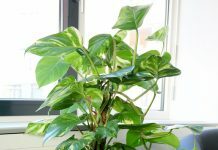 With these care instructions, you will learn how to perfectly nurture the green plant to enjoy it for a long time. 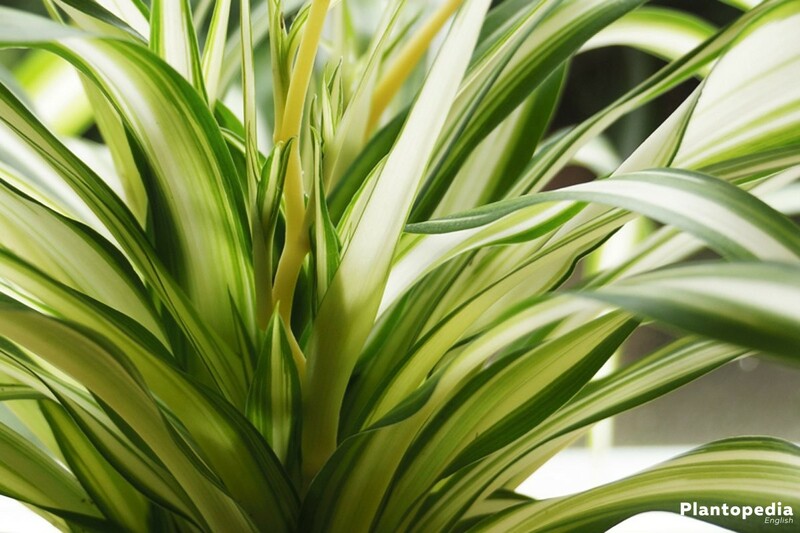 Due to its fast and dense growth the spider plant has become one of the most popular room and office plants worldwide. Originally from South Africa, it found its way into European living rooms in the middle of the 19th century. 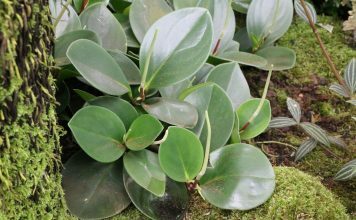 Wild specimens with purely green leaves are now growing in various subtropical and tropical areas. On the other hand, the cultivation forms of the chlorophytum comosum have green leaves, the center of which usually have a white or yellow stripe. These care instructions will tell you the conditions under which the spider plant grows best. 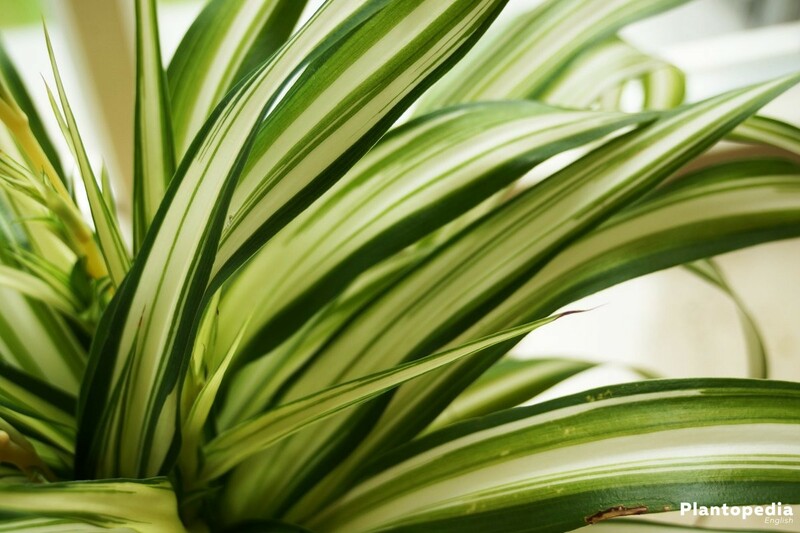 US scientists discovered a special characteristic of the chlorophytum comosum in 1984. During a study it turned out that the plant can clean contaminated air by filtering out substances like formaldehyde. This works especially well in closed rooms. The spider plant is an undemanding plant, which survives in many situations. Plant lovers, however, can make simple arrangements to create a healthy living environment. Appropriate care ensures that the chlorophytum comosum remains vital for decades and is multiplying rapidly. This undemanding plant feels well in a bright spot. Places where they get in direct contact with the sun in the morning or in the evening are just perfect. The light contributes, for example, to the development of a strong coloring of the leaves. 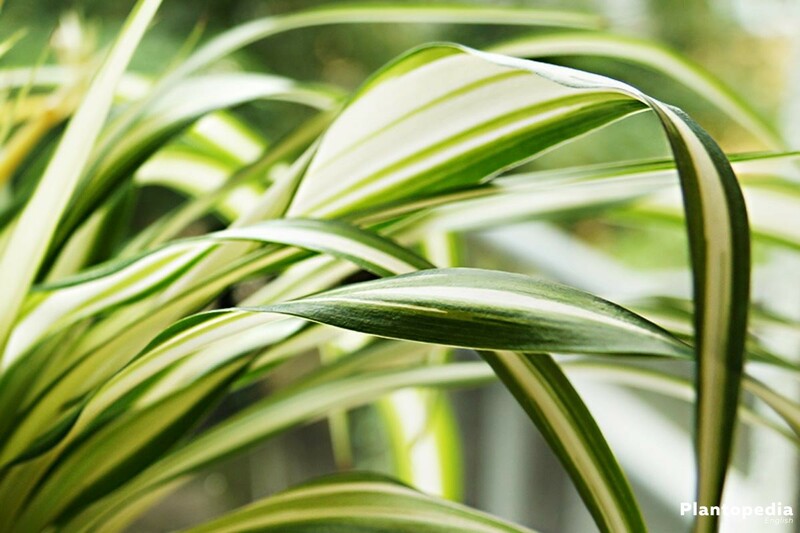 If possible, however, the spider plant should not be exposed to the hot midday sun in the summer to make sure the leaves won’t burn. A half-shaded spot would be all right. In a darker environment and in the shade, however, it grows only slowly. Low temperatures will slow down the growth too. The plant grows best when the room temperature is as constant as possible between 14 °C and 18 °C. 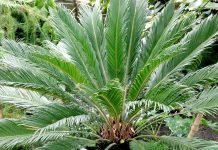 This plant is very adaptable, so it can withstand temperatures between 10 °C and 30 °C. 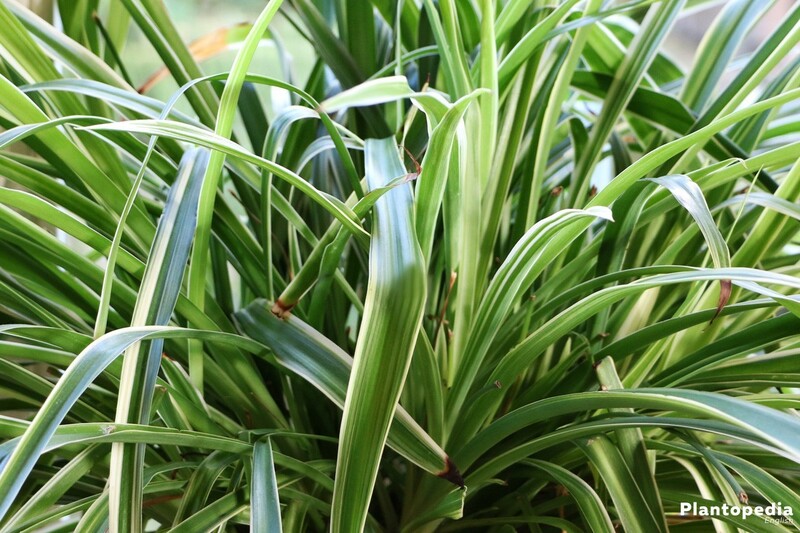 Especially in the cold time of year, the chlorophytum comosum should be located in a room rather than outside. In the summer it also grows on the balcony or in the garden, if it is not permanently illuminated by the sun. The dense and rapidly growing root ball of the chlorophytum comosum requires much space, so this green plant should be placed in a pot with sufficient space. There should be a 2 to 3 cm area filled with soil between the roots of the plant and the end of the pot. 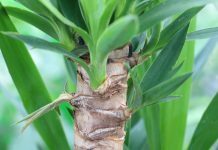 As soon as the roots can be seen, because they displace the substrate on the surface or even damage the pot, the spider plant should be transplanted as quickly as possible into a larger pot independent of the season. The spider plant should be poured regularly and generously. From spring to autumn the soil should constantly be slightly damp. Waterlogging should however be strictly avoided. Therefore, the plant is best planted in a pot, from which excess water can drain down. This should be removed a few minutes after pouring. In its thick roots the spider plant can store water, which is why it survives even short dry periods. However, these should not last for too long and should not be repeated too often. 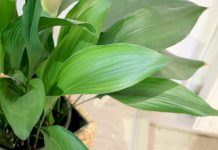 You can quickly see that the chlorophytum comosum is too little poured when it has dry leaf tips, pest infestation or bright, faded leaves. However, brown tips can also point to an extremely low humidity. Humidity should be between 50% and 70%. 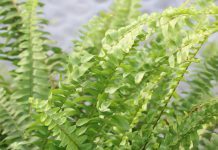 If the humidity is too low, you should regularly spray the plant with water. Since the spider plant is undemanding and can grow well with a smaller nutrient supply, it can be sparingly fertilized. 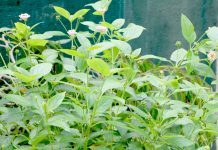 In the main growth period, which lasts from March to September, it is advisable to pour some liquid fertilizer into the soil every two to four weeks. The exact amount of fertilizer depends on the nutrient content of the substrate. A chlorophytum comosum that is repotted every year, does not need any fertilizer. If you prefer fertilizer sticks, use one in the spring and one in the summer. Since the spider plant produces many sprouts, it grows the fastest this way. The small daughter plants emerge from the hermetic blossoms after they have faded. The blossoms grow in small bundles on the overhanging, up to 75 cm long flower stems, which is why each branch can develop several offshoots. The still young sprouts are already developing their first roots in the air and draw the stems to the ground due to their weight. The small offshoots are also growing up on the wild extensions. A sprout can be separated from the mother plant as soon as it has at least five leaves, which are about five centimeters long. 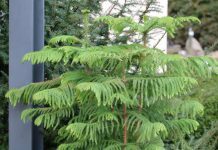 If it already has roots that are at least three centimeters long, the young plant can be immediately planted in a separate pot. At a room temperature of around 20 °C, the sprout will grow rapidly. If the roots are shorter, place the separated sprout in water first. 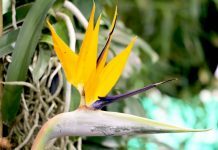 Alternatively, the branch of the mother plant, on which the sprout grows without being cut off, can be placed in a pot with flower soil. As soon as the daughter plant grows after a few weeks, the branch should be cut through. The more often the sprouts are separated from the mother plant, the more the growth of new offspring is stimulated. The wild form as well as a few cultivated varieties of the spider plant form small capsule fruits and in each of them three seeds will approach. If the capsule is opened, the black seeds will fall to the ground. 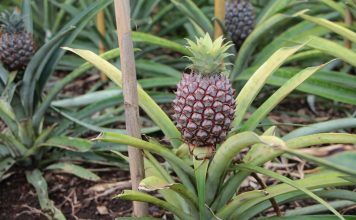 This way of reproduction is mainly carried out in the professional plant breeding and rarely in the private households. 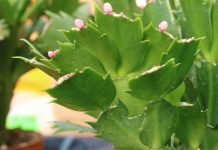 Anyone who wants to help with the reproduction can simply divide a larger plant into two or more parts and plant them individually. This method is particularly useful when the mother plant has grown too large. At room temperature the chlorophytum comosum thrives throughout the year. In the winter you should give it a rest and not fertilize it. If you put it to a cool place, make sure that the temperature is at least 10 °C. At such low temperatures, it must be poured less than in the main growth period. Only when the soil’s surface is slightly dried, the plant needs water. 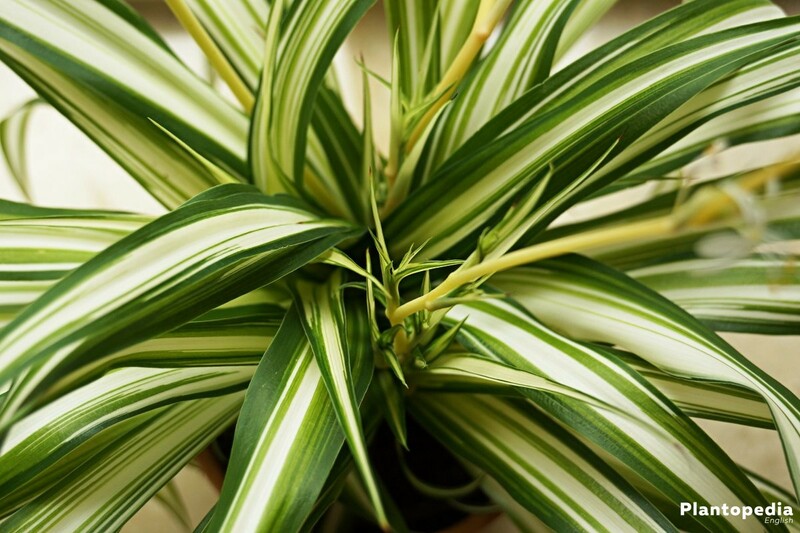 Since the spider plant is resistant and easy to maintain, diseases rarely occur. Dried leaves often point to waterlogging that should be removed as soon as possible by draining the excess water. If the waterlogging persists, the plant can be attacked by bacteria that cause a severe bacterial wet rot. They will spread quickly and can hardly be fought. Affected plants should therefore be disposed and never come into contact with healthy ones. In order to remove the aphids, the spider plant should be thoroughly sprayed from all sides with a mixture of water and dish soap. Repeat the procedure every two or three days until the aphids have disappeared. Insecticides can also be used. Mealybugs enveloped in a waxy layer can also damage the spider plant. Their white bodies are easy to see on the green leaves. An infestation is also shown by the fact that the leaves become discolored and shriveled. 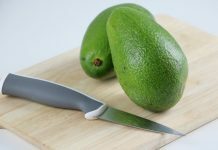 The mealybugs will also drop honeydew, which accumulates on the plant. 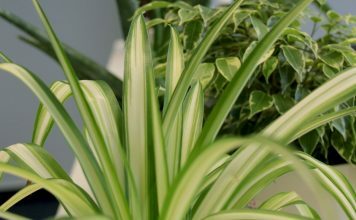 To make sure the spider plant won’t die, it should be treated quickly with plant protection products or insecticide sticks. After approximately two weeks the remedy has to be re-applied as it does not affect the eggs of the insects. You must fight the freshly hatched mealybugs again. Once you discover an infestation, isolate the affected plant. This prevents the pests from spreading further. White flies can be fought with the help of insecticides or yellow sticky plates. 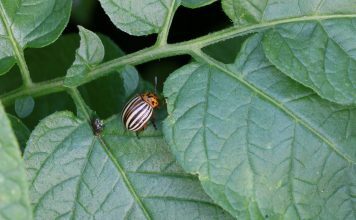 These small pests will mainly occur in the winter and are characterized by fine bright spots on the leaves. In case of prolonged attack the leaves will slowly brown and dry. Place the affected plant in the shower and rinse thoroughly. Then cover it completely with a foil pouch, which you tightly close, and put the plant back in its place. Within the bag, which must remain attached for at least two weeks, the humidity increases. This causes the spider mites to die. 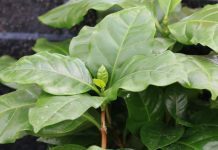 If this method is not sufficient to completely control the mites, the plant can be carefully sprayed with insecticides. The chlorophytum comosum magically attracts cats: the pets are not a pest in the classical sense, but they are very keen on the long leaves. The bite marks are not so beautiful. Also the consumption of the leaves can harm the cats, as the plant collects pollutants from the air and fertilizer accumulates in the leaves. Some 190 wild and cultivated sorts of chlorophytum comosum are to be found worldwide. 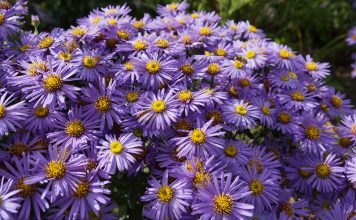 Several varieties are offered for sale, which only differ in fine details like the color.